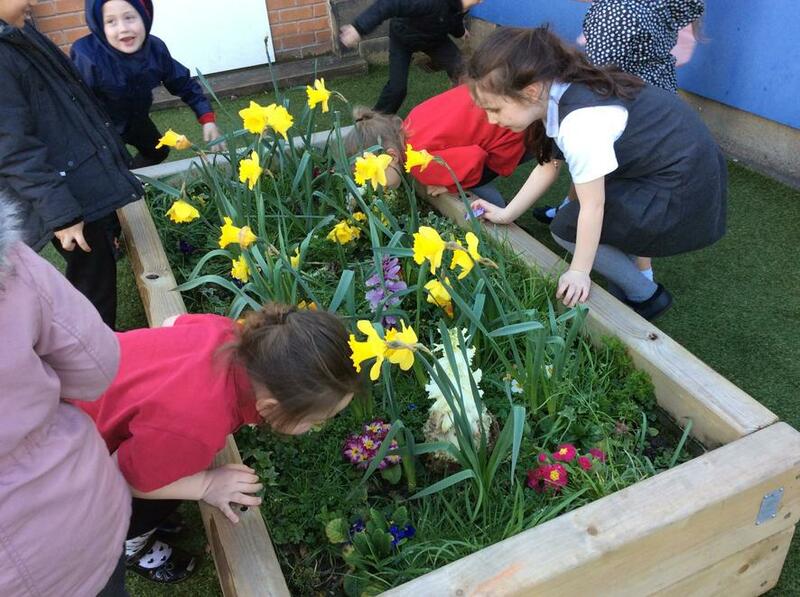 This week was Gardening week, to introduce the new season...Spring! 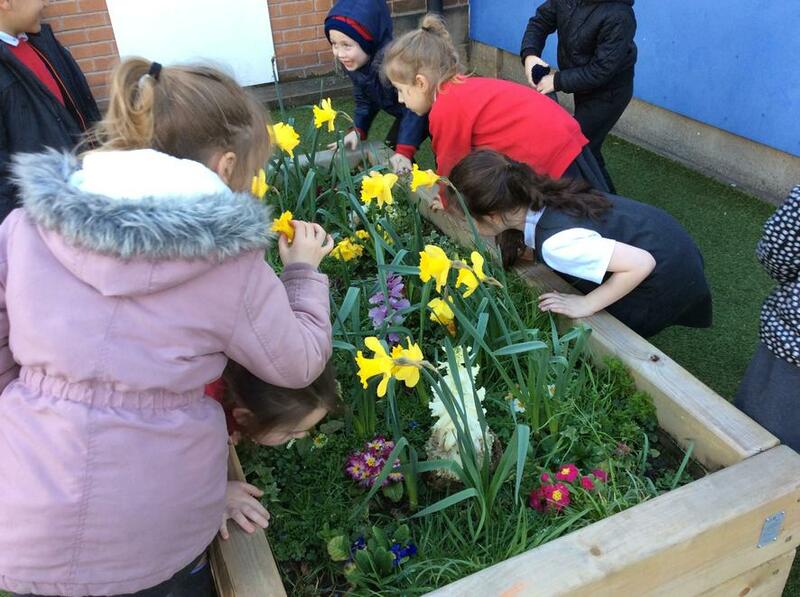 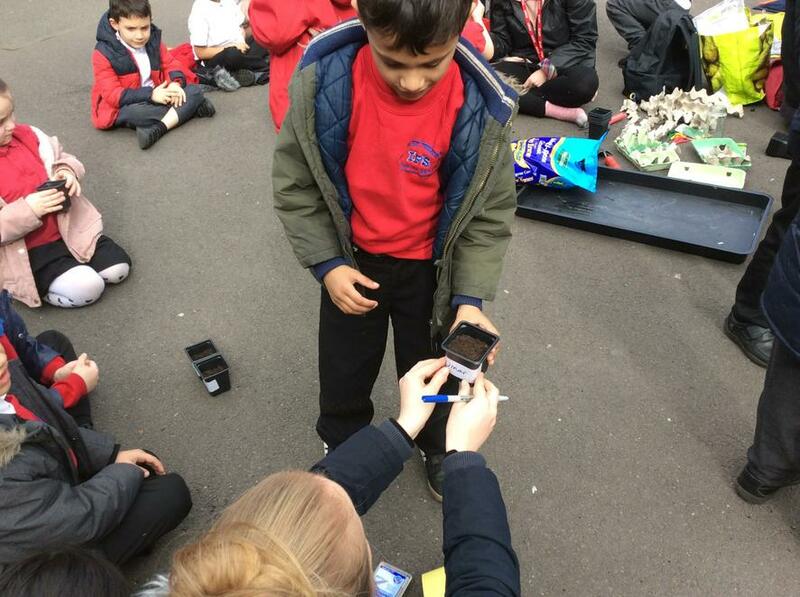 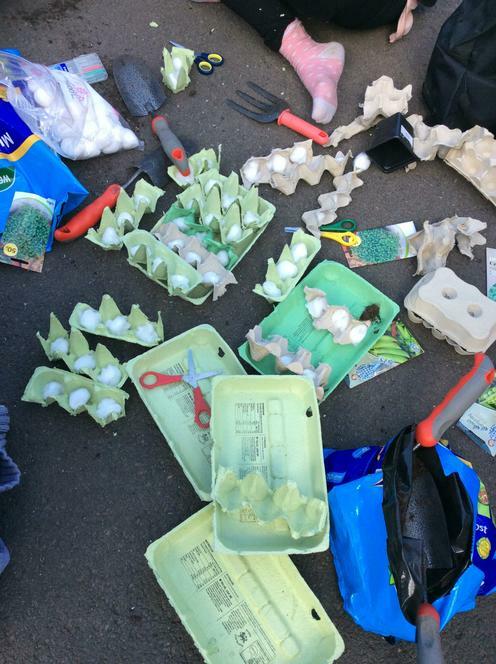 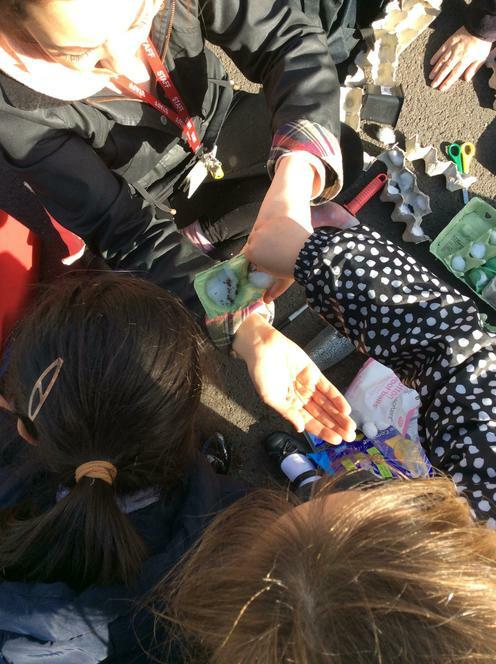 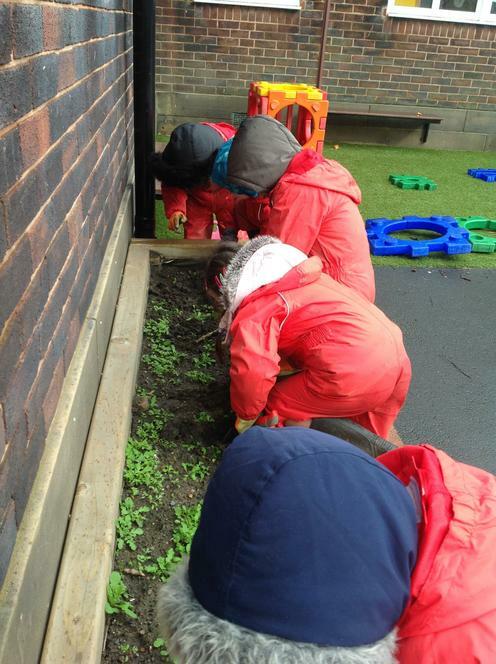 We worked very hard as a team to tidy up, weed and plant beautiful new flowers and plants in our garden areas and planters around the school grounds. 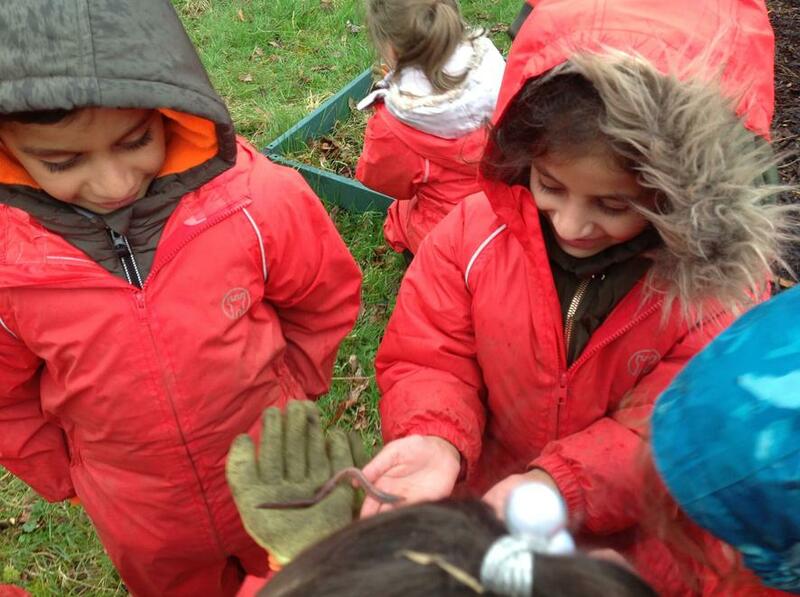 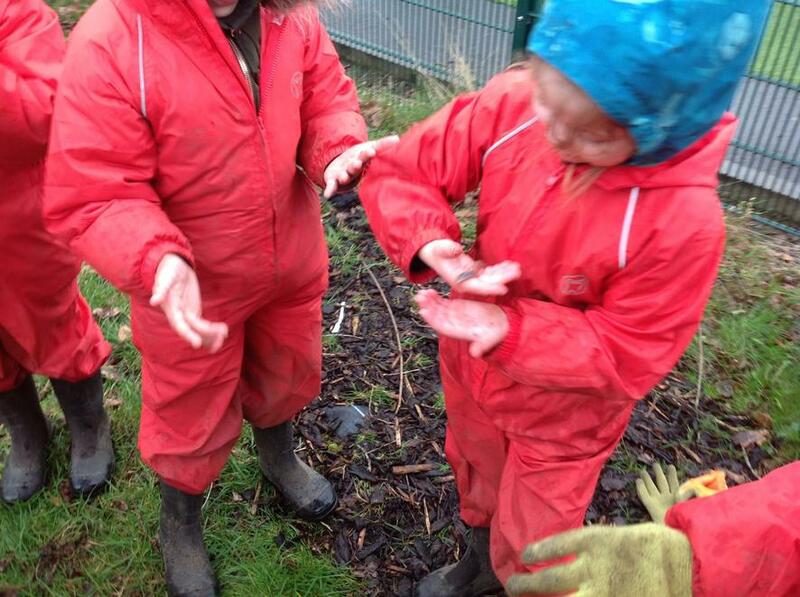 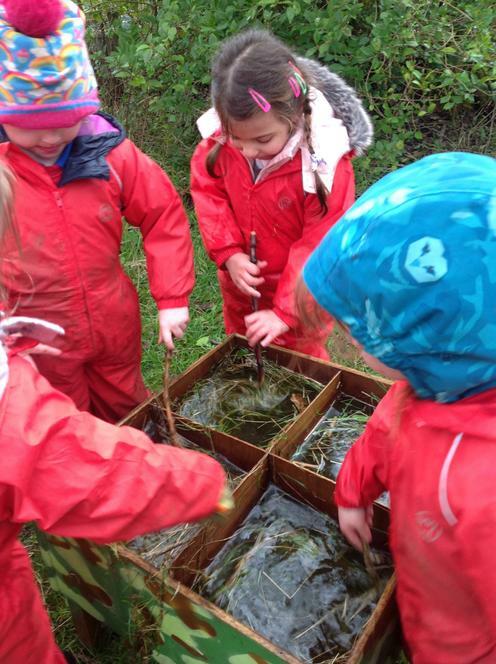 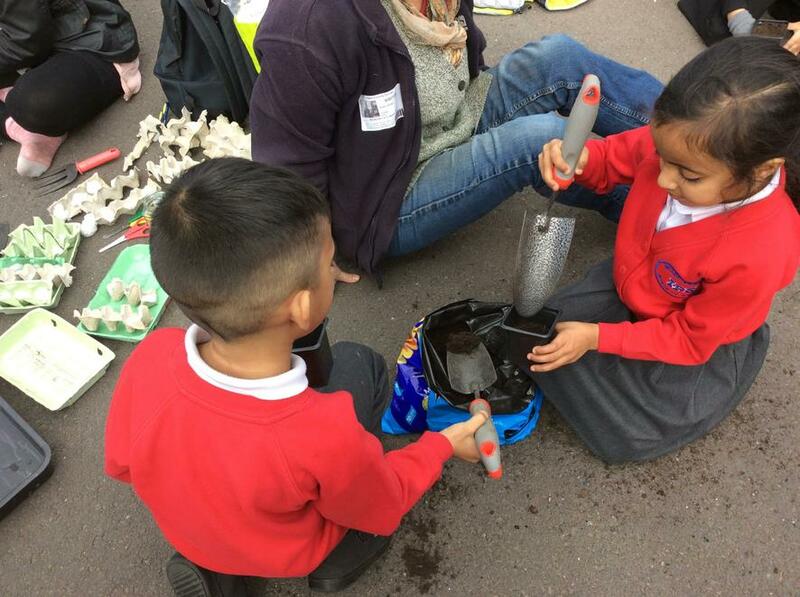 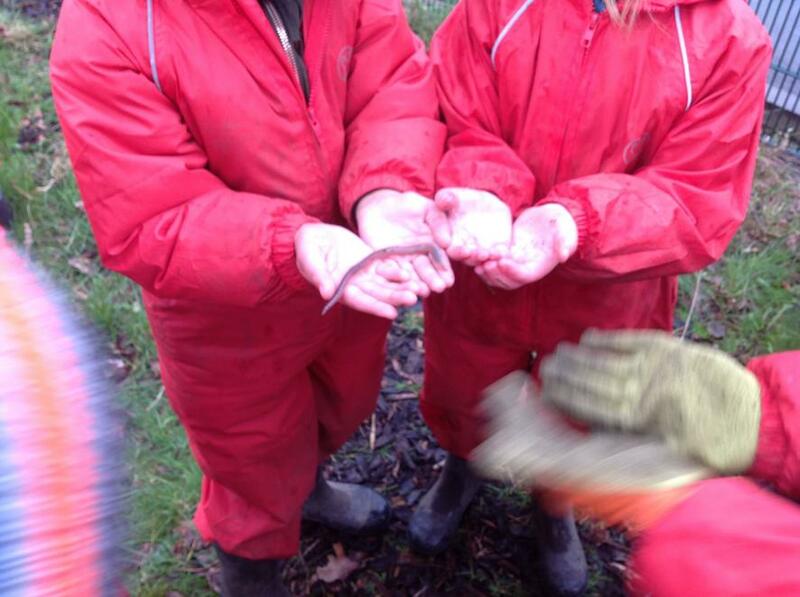 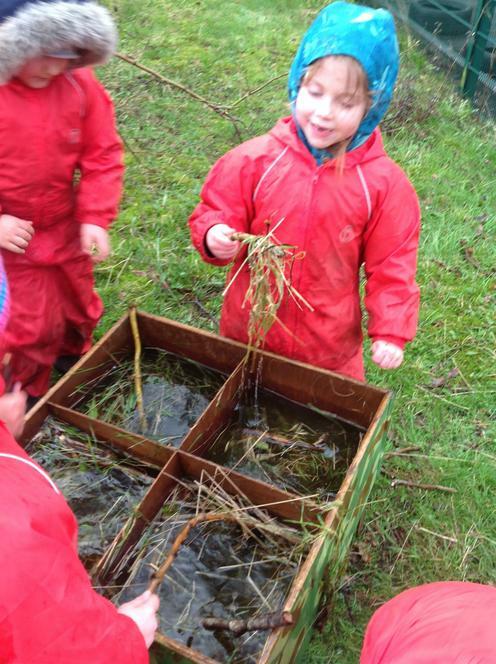 Whilst we were doing this we searched for new mini beasts who may live in our forest area and some children decided to make some forest school food for them, they made soup with natural resources found. 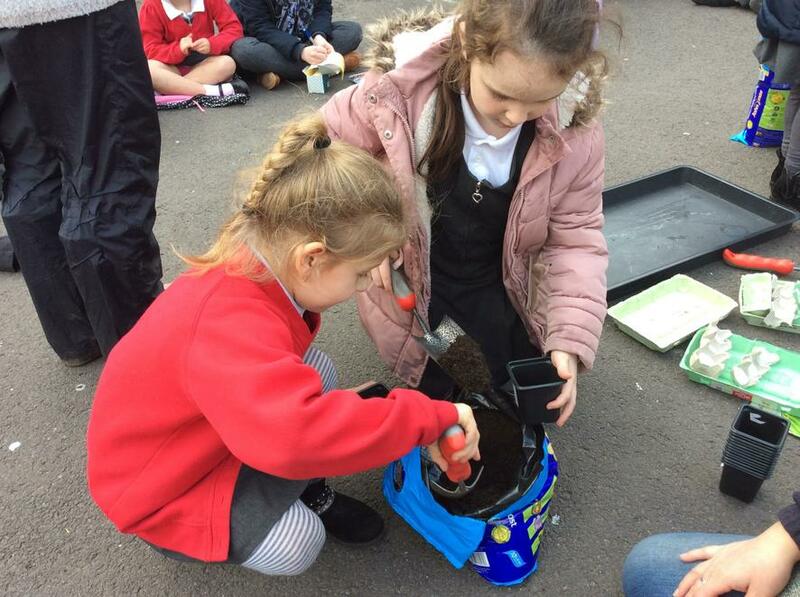 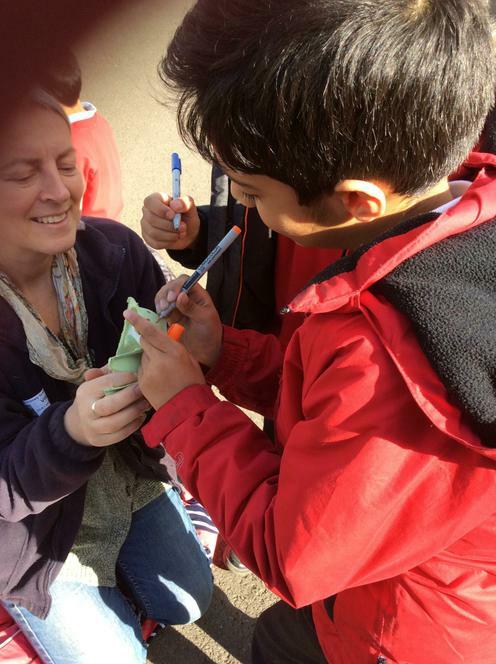 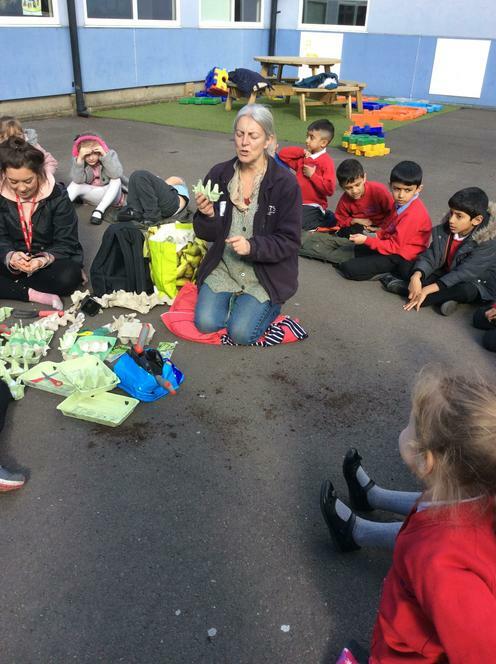 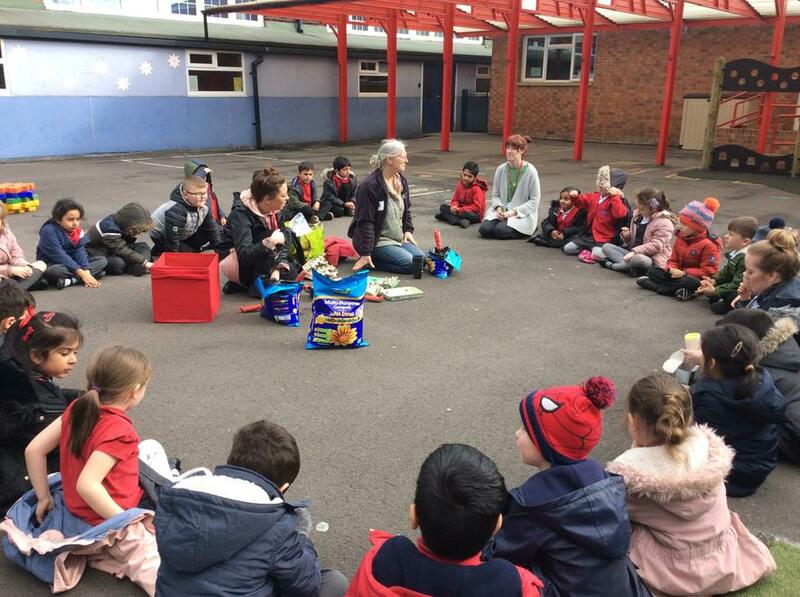 On Wednesday our school friend, Julie visited the school to take part in gardening week. 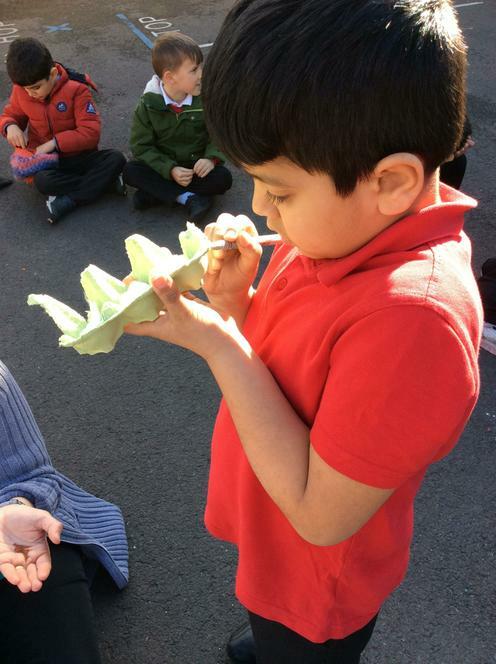 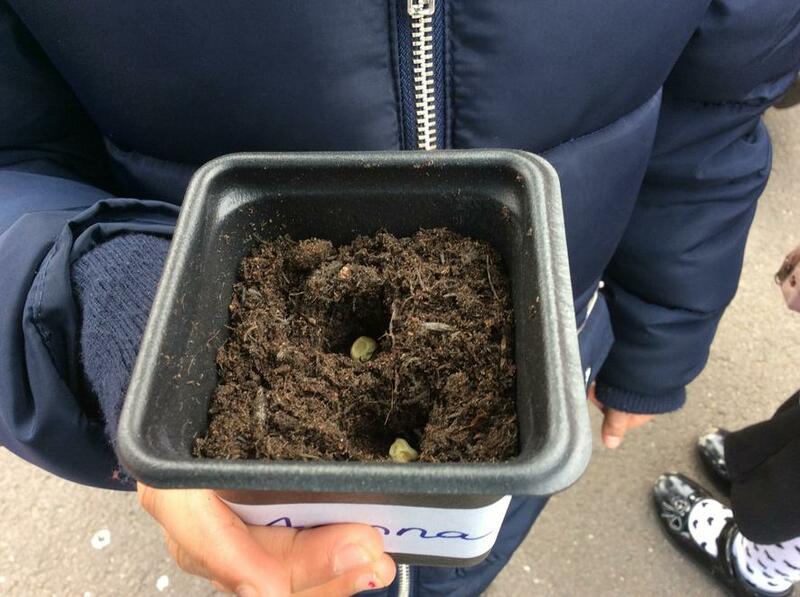 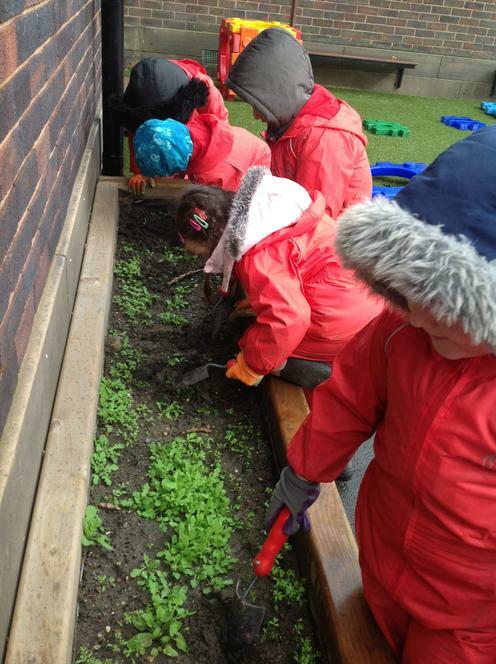 We planted pea seeds and created cress caterpillars. 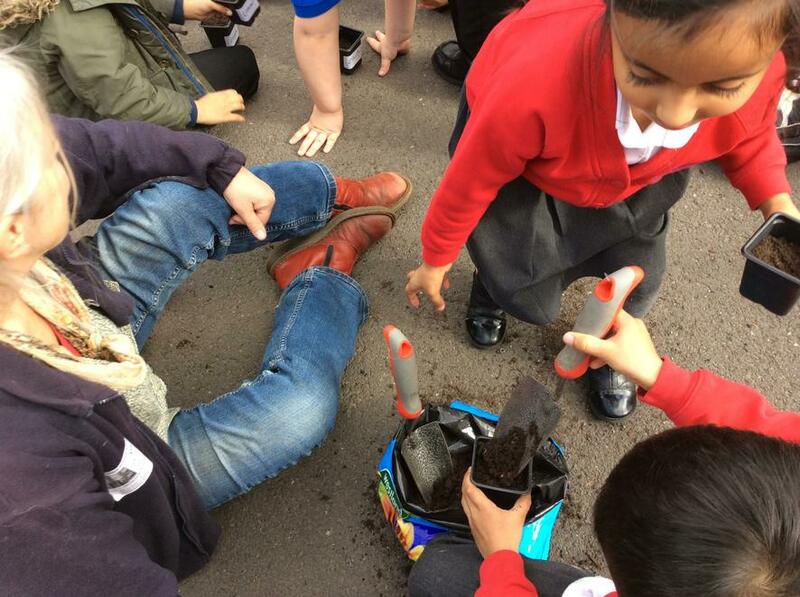 We all had lots of fun working with our class friends and recapping features of a plant.